Coach Steele returns to California Odyssey for his second season to lead the 2004 GR1 team. 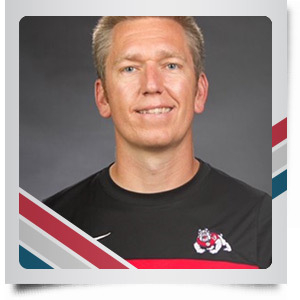 Fresno State Assistant Women’s Soccer Coach Sean Steele will again serve as the head coach of the 2004 GR1 team for the 2018-19 season. Steele joined the Fresno State Bulldogs in 2014, to assist with all aspects of preparation and performance, including training and player development. Prior to coming to Fresno, Steele served as the head coach for both the men's and women's soccer teams at Nebraska Wesleyan for three seasons. Steele has a Bachelor of Science degree in anthropology, and a Master of Science degree in educational leadership. “Sean is a great addition to our club and girls program. We look forward to his leadership in taking the talented 04 GR1 to the next level,” said Director of Coaching Vitalis Otieno.